It is common knowledge that if you have an investing website in 2018 success has everything to do with the internet. There is no way you can be successful in business in this era without the proper use of the internet. However, having a website alone is not enough. You need traffic and conversion strategies to help you reap the benefits of digital marketing. Every geographical market is structured in its own unique way. If you operate in the UK, it is not reasonable to implement the strategies used in the US and expect to obtain results. Here are the top three guaranteed strategies to help increase your web traffic in the UK. *Social Media Advertisement: This refers to posting ads on social media sites such as Facebook, Twitter, Instagram, LinkedIn and so on. Social media advertising is the most common form of paid advertisements. Social media advertisement helps in increasing your social media followers, increasing your brand popularity and driving traffic to your site. This type of advertising is particularly good for investing websites as you can easily target users that have expressed interest in other related investing experts or even competitors to your investing platform. *Search Engine Advertisements: Search engine advertisements refers to paying money so that your website link is placed on the top of the search engines for specific keywords. You can pay for search engine advertisements such as those provided by Google Adwords to help you generate traffic to your site. This method is very rewarding since it targets people who are already searching for the investing products or services you offer. 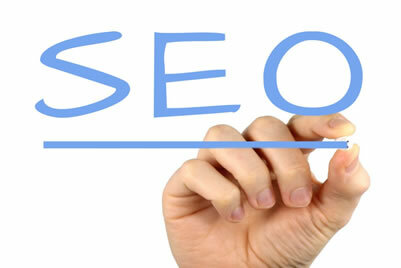 Search Engine Optimization( SEO) is the primary method of traffic generation that doesn’t cost money per click. This refers to increasing the rank of your web page in organic search engine results in Google and other search engines like Yahoo!. There are a lot of factors to consider when we talk about SEO. This is why you need to get an established SEO consultant to help you. SEO in 2018 terms can be defined as the usability of a web page. Unlike years ago when you would fill your web page with keywords and gain traffic, the terms for website ranking have changed. According to Google, the websites that offer the best user experience rank higher than those that do not. User experience in itself is a very big word. It entails page load times, the quality of website content, the use of keywords, optimization for mobile devices and optimization for local Uk search among other factors. In a nutshell, Google and other search engines reward the sites that create compelling content and offer value to users. Being social with your customers is the best way to establish your brand and reach out to new clients. The first step is to establish social media accounts on the most relevant social media sites. The use of social media managers can be employed to reduce the amount of work you do. Being social goes beyond just creating a Facebook page or a twitter handle. It involves having a daily interaction with your followers, answering their questions, and offering information on your products. The use of social media to answer questions and give customers more information is an effective strategy of creating trust. By creating trust with your customers, you increase your client base. Another aspect of being social is creating video content. Video content on social sites such as Facebook and Youtube has emerged to be more engaging than text content. Statistically, a live video is more likely to be watched than just posting a normal video. Driving traffic to your website in 2018 requires more than just filling your content with keywords. Driving reliable traffic to your site depends on how usable your website is. You need to develop strategies that better the performance of your website and offer value to web visitors. To make sure you maximize your income, you need to use paid ads or invest in an established UK SEO consultant.